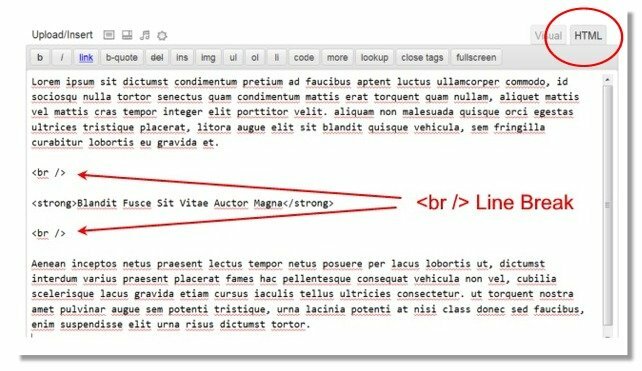 Sometimes WordPress acts like an evil devil, a digital psychotic dictator that decides it doesn’t want you to have spaces where you want to have spaces. It simply strips out the code no matter how many times you reset it or how many times you save it. If you’ve never experienced this, trust me, you will. 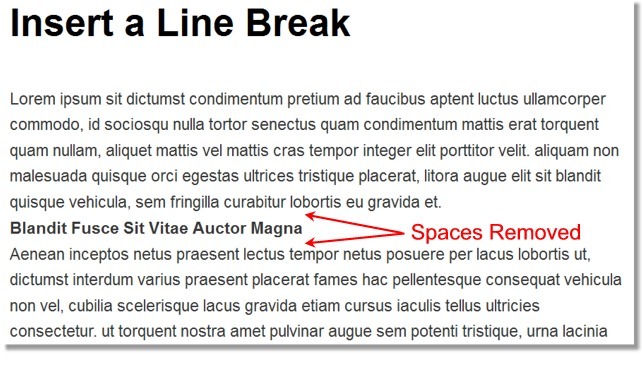 *** Sometimes you may even need to add two line breaks, depending on how well your WordPress editor is obeying you. 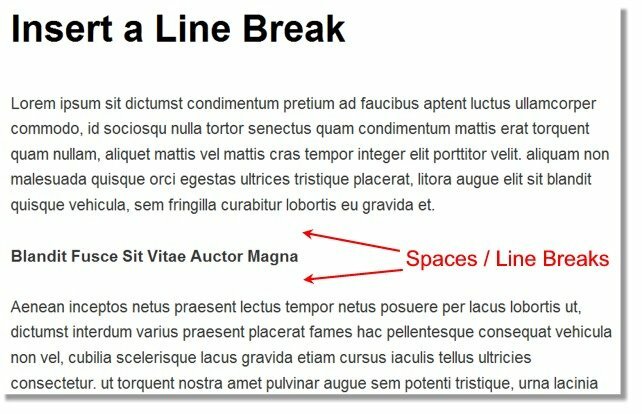 It’s important to note that you will get a new line break where you put the line break code, even if it seems to be in the middle of sentence.